While games like Words with Friends can be fun online, I prefer games that I can play without a wi-fi connection on my tablet. I tend to get free apps, but honestly some for them aren’t that challenging or fun. However constantly buying apps will drain my budget. One solution is grabbing a paid app for free when it comes up. 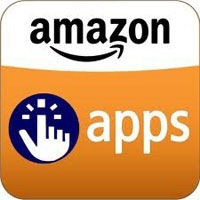 One app that has help me grab some great games for free – Amazon App Store. Every day they have a paid app available for a free download. Even though the app is free, you do have to have an Amazon account and you need to sign up for 1-click shopping. Since I already use Amazon for some household shopping items it was not a big deal for me. Check it out if you’re interested in getting more details. Besides what you can grab from Amazon’s App of the Day, there are some apps that are extremely helpful that I want to share. TripIt: When traveling, it can be a bit crazy carrying all the paperwork for the flights, hotels, and car rental for everybody. With trip it, you can have all of that information in one spot on your phone. Evernote: I love using Evernote for post ideas, notes on articles I love, and keeping a back up of my important stuff. Pocket: Like an article, but don;t have time to read it right now? Use Pocket to grab the post for offline reading when it’s more convenient for you. Ninja Fishing: A simple, yet addicting fishing game (that’s right-fishing!) that is better on tablet than phone. How many of you grab free apps through amazon? What are some of your favorite free apps?